2018 HONDA VT750 SHADOW PHANTOM! Price plus destination fees and TAVT tax. 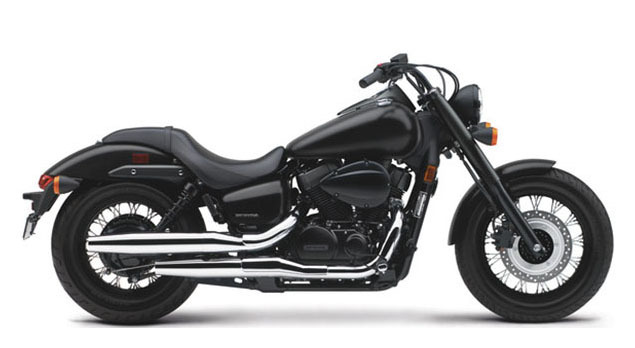 The Shadow Phantom® celebrates the joy of back-to-basics motorcycling by delivering a V-twin ride packing a uniquely clean and uncluttered appearance. Check out the minimalist look and extensive blackout treatment that bring your eyeballs back to that very cool 745cc V-twin engine, featuring the convenience and sophistication of Programmed Fuel Injection. By staking out the low-profile approach to cool, the Shadow Phantom reinforces the idea that bling isn't everything in a bike.